Yoga Shala is your home of Yoga in Heidelberg. A true International place for yoga, teaching in the traditional small group yoga classes, suitable for beginners and advanced yogis. Our exclusive courses for pregnancy and personal yoga are rich and therapeutic. Making Yoga accessible for everyone by authentic teaching with discipline and compassion. sthira-sukham-asanam –Patanjāi Yogasutra Verse 46 from chapter 2. A comfortable, well-balanced posture, with calm and deeper breathing is Asana. Manoj comes from a traditional Hindu family in north India. He inherited Yoga in early childhood at home. Later years he perfected the yogic sciences in the divine guidance of excellent yogi masters in India. 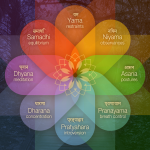 Master in the sciences of Hatha and Ashtanga Yoga, with a 20 years yogic experience, Manoj is teaching with a unique mix of Asana, Pranayama and Meditations that benefits people. Manoj has a natural ability to get people effortlessly started in Yoga. His teaching is connecting, energetic and enjoyable. Manoj wuchs in einer traditionellen Familie in Nordindien auf. 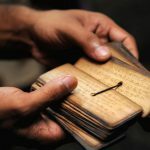 Von Kindesbeinen an lebte er Yoga und lernte die verschiedenen Methoden bei traditionellen Yogis und Meistern in Indien. Mit großer Yogaerfahrung lehrt Manoj einen einzigartigen Mix aus Asana, Pranayama und Meditation. Er führt seine Schüler mühelos, sehr individuell und mit großem Mitgefühl in authentisches Yoga ein. Sein Unterricht verbindet, ist sehr energetisch und macht Spaß. creates a healthy and active work culture. 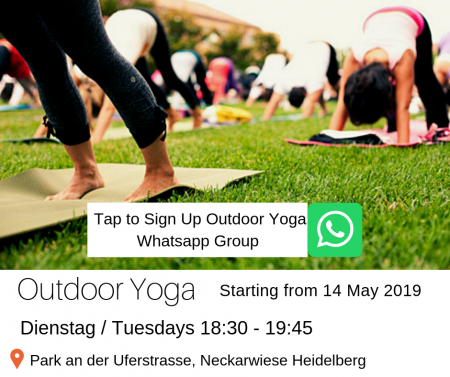 Ready to bring your Yoga Outdoors, Sign Up now!